If you are like me your e-mail inbox gets filled everyday with dubious offers to buy this, that or the next best thing that will allow you to start your business or catapult your business into the stratosphere. 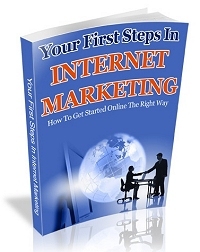 A lot of the information being offered is already available free on the internet. The major problem is where do you start looking for quality information that will allow you to make the informed decisions that you need to make. Well you won’t need to do all these hours of searching online, getting distracted by one thing and then another because I have done it all for you. You see after doing this for some years it has become easy for me to separate the online wheat from the online chaff. Basically with Freebie Friday I will be giving you access to all the quality information you will need to start and grow your own successful business. Put this date in your diary, Freebie Friday launches Friday 26th Feb. look for my e-mail. Knowing you like I do, I know that your readers are in for an absolute treat. Hi Steve thanks for the comments, I have some amazing stuff lined up so it will be well worth checking back every week! I like your approach, to the giveaway, it`s fantastic and the Amazon offer is on the money,i tell you what Rob i have it from a very reliable source that Amazon within the next few years will be the platform to sell from, and my money is on the fact that this is because of the better fee structure Amazon have? Hi Ed, I believe Amazon is the way to go I have moved most of my selling over to Amazon, its a much simpler system and unlike eBay there are no changes every 5 minutes. No listing fees or paypal fees no bidding just a % payment when your item sells. Simples!! Great idea, like the sound of that! Thanks Mike keep coming back I have some great stuff lined up for you all. Hi Rob, fantastic idea and great opportunity for people to learn, myself included. I’ll certainly be poping back for more. Hi Barry I have lots of great content for the next few weeks be sure to check back every week! !